See What I Am Eating! LA(洛杉磯)與我的好料理! : We Want Our DVD for A-Mei!! This post has nothing to do with food review but is for my favorite singer A-mei from Taiwan. 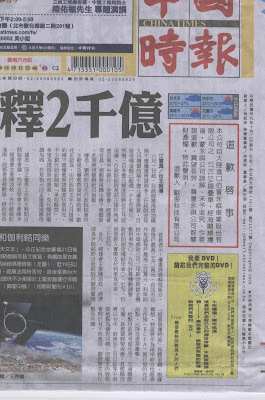 As you might have noticed these 2 days she's in the news for her final encore STAR TOUR in Taiwan. This Tour last 1 year and half since 2007 December to 2009 3/29. She's been out and famous singer for about 12 years now and this tour had very meaningful idea for all of fans, especially is for her 10 years anniversary of been a such wonderful singer. If you are a fan of A-mei then you'll know Mei's always having troubles with her record companies whether is for songs' copy right or her managements' arrange in entertainment markets and been a big fan of her, I really feel bad and sad for her! Couple months ago, her new manager Mr. Chen released a news claiming that finally, all record companies agreed to work together and would release all songs she had sang before for this tour to release a very valuable DVD. It was a very cheerful news and this DVD means a lot to her and her fans. But unfortunately, due to copy rights/contracts so they claimed from Warner Music, they refused to let Mei to use those songs into this DVD. All her fans were surprised, shocked, upset and angry at first after heard this bad news. Then, another big fan of A-mei Fish which is the webmaster of Mei Study, decided to do something. She gathered all the fans that were willing to help and started online signatures protest. After all, we came out this idea of post the commercial on the newspapers and gave away stickers and hanging signs on 3/28 & 3/29 outside of Taipei concert. Here are some pictures of the commercials Fish did. There were also many people besides Fish working very hard day & night before it's all came out so perfectly. I really appreciated them and admired their attitudes. I am not going to put all the details here and if you want to find out more about this, please visit Mei Study. 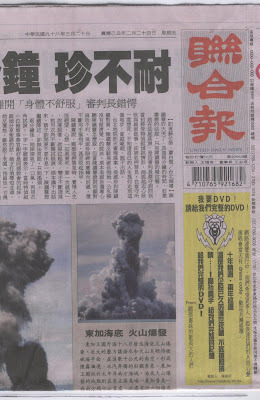 Wish A-mei the very best and hope we can get this DVD comes out completed soon.